Microsoft has released a new version of Windows 10 Build 10240 to Windows Insider members on both the Fast and Slow Rings. 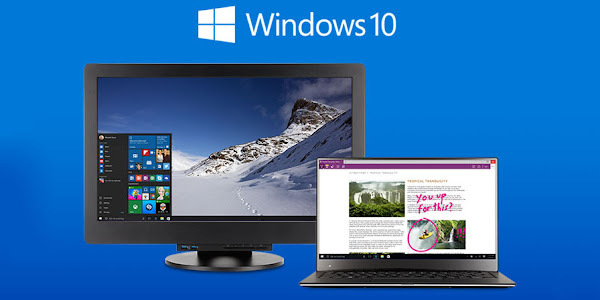 This is the final copy of Windows 10 OS which is being sent out to PC OEMs to load on their upcoming Windows devices. Windows 10 build 10240 is first build to drop the desktop watermark and its also the first build which Microsoft isn’t referring to as a preview. This likely indicates that Microsoft will be categorizing this build as RTM (Release to Manufacturing) and sending it out to device manufacturers, so they can load it onto their devices. Even though the core Windows platform may be ready for public consumption, Microsoft is still hard at work on the final apps, which will be a part of the final Windows 10 release on July 29. Updates will include extension support for the Microsoft Edge browser and a bigger update later this fall. Microsoft will not make ISOs available for Insiders until July 29th as the company wants to test it Windows Update mechanism to make final tweaks and changes to the way Windows 10 will be distributed to existing PCs later this month. Windows Insiders you have installed a Preview version of Windows 10, will be able to download the final build by heading to Start > Settings > Update & Security > Windows Update > Check for updates on their computers. Remember that you’ll need to be logged in with your Microsoft Account in order to receive the new build.